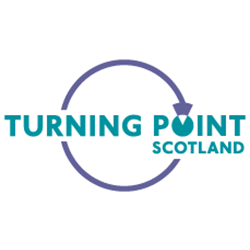 Turning Point Scotland has been making a difference in people’s lives for more than 15 years, working with people who face diverse and complex challenges which can marginalise them from their communities. Work to the department and organisation’s aims and values and promote the citizenship of the people we support. Coordinate and deliver the Connecting Citizens course. Recruit, develop, and support new members to TPS Connects. Develop and support TPS Connects volunteers. Undertake any other duties or responsibilities as may be deemed appropriate to the post by the Director of Business Development and Improvement (or nominated deputy). Work across Turning Point Scotland to encourage and support recruitment of TPS Connects members. Arrange, coordinate, and support TPS Connects group activities. With colleagues, ensure TPS Connects meetings are held regularly. With colleagues, arrange and coordinate consultation meetings with TPS Connects members. Contribute to the development of, and support to, TPS Connects volunteers. Lead on the communication of information to TPS Connects i.e. newsletter and Facebook. Assist in the organisation and delivery of TPS Connects events as appropriate. Coordinate this 6-month programme based on the TPS Citizenship approach to students recruited from Turning Point Scotland services. Support peer mentors to deliverWhat’s Up?sessions. Support students to identify, plan and complete a Valued Role project. Liaise with existing partner organisations involved in delivering the programme and build new partnerships. Develop students to take on the role of Peer Mentor in future programmes. Provide regular feedback and support peer mentors. Have an understanding of the causes and effects of social exclusion. Regularly review the effectiveness and impact of your contribution to TPS Connects and Connecting Citizens. Keep a record of activities and events in accordance with organisational policies and procedures. Work with data in line with data protection laws e.g. DPA18 and GDPR. Work with and comply with standard operation (finance, operational, H&S, HR) and service procedures. Have a collegiate approach, ask when you need support or guidance and team work well with a diverse group of people. Manage and resolve conflict promptly and raise or report issues appropriately using the correct internal processes. Work in accordance with the relevant legislation and National Care Standards. Be aware of health and safety and contribute fully to keeping my work environment, community, people who use services and me safe. Support the delivery of group work within the department. To undertake evening and weekend work as required. Turning Point Scotland is a national social care charity who has been at the forefront of advancing national policy in the area of homelessness and more specifically promoting Housing First as the default model for all those affected by homelessness. Due to the promotion of Patrick McKay to Director of Operations we are looking to recruit an Operations Manager who will have a strategic responsibility for consolidating and progressing this area of work. Turning Point Scotland has been making a difference in people’s lives for 20 years, working with people who face diverse and complex challenges which can marginalise them from their communities. An opportunity to join the Board of one of Scotland’s leading social care providers and shape the future of this award winning organisation. At Turning Point Scotland, we believe that people matter. We are a leading social care charity that constantly innovates and develops services to ensure everyone we support has the chance to lead as fulfilling life as possible and be part of the community. Our work is underpinned by a Citizenship approach and person centred ethos. Our dedicated staff team of 1300 specialises in supporting people facing a broad range of complex and challenging situations, including homelessness, learning disability, criminal justice, drug and alcohol problems, and mental health issues. • We are looking to appoint one person with expertise in accountancy, and we also have vacancies for people with a background in pension provision, or experience of Social Enterprise, or the interface between the Third Sector and Local Authorities or other relevant skills. • Can commit to attending 5 evening meetings, an annual strategy day and visiting 1-2 services every year and being involved in sub committees as required. As we provide 51 services in more than two thirds of Scotland’s local authorities, applications from outwith the Central Belt will be welcomed. We welcome applications from all sections of the community and are committed to equality of opportunity and an inclusive, diverse workforce. Women are particularly welcome to apply as the gender balance of our workforce at all levels, including Trustees, is important to us. Turning Point Scotland are aiming for a 50:50 Board by 2020. Each application will be treated on its own merit. An induction programme and training will be provided and reasonable expenses can be reimbursed. Work to the service and organisation&apos;s aims and values and promote the citizenship of the people we support. Deliver support to people who use Turning Point Scotland&apos;s services and in so doing contribute to the provision of the highest possible quality of social care support which meets the service specification. For further details, please see the relevant links within the application notes.